Tide may be tough on stains, but could it also be tough on the environment? Great news! Air pollution caused by cars has plummeted thanks to new laws. But for some reason, there’s still smog hanging over L-A. What gives? Brian McDonald and colleagues at university of Colorado Boulder wondered where this extra pollution was coming from. Using chemicals to label the air, they identified which pollutants were the major issue. Turns out, the real culprit adding to air pollution? Household chemicals! Think: pesticides, priniting ink, cleaning, and personal care products. And we use them A LOT! For example, tidying up the house with cleaners releases chemical fumes into the air. These fumes are made of harmful molecules that react with gases in the air to form smog. In heavily populated cities, this effect is multiplied! 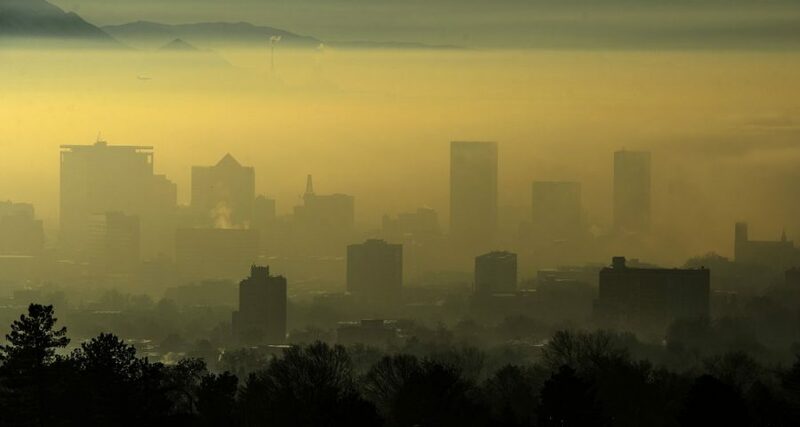 It can add up to HALF of the air pollution in U-S urban areas. Changing the recipe of these products or using greener alternatives could reduce pollution. And using less cleaners could help. Or not cleaning house at all. For the environment!